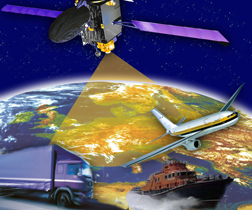 Following a complex tendering process that began in January 2015, the European GNSS Agency (GSA) awarded the Galileo Service Operator (GSOp) contract, with a value of up to €1.5 billion (US$1.56 billion), to Spaceopal at a special event in Brussels today (December 15, 2016). The ceremony was featured in an event organized on the occasion of the European Commission’s declaration of Galileo Initial Services. • support the completion of the Galileo infrastructure and associated launches. To ensure a balance between ongoing deployment needs and the priority of the service provision, the contract includes clear and tangible performance indicators (KPIs). The contract was signed by des Dorides, Spaceopal’s CEO Giuseppe Lenzo, and Simon Plum, the company’s COO, at an official ceremony held today in Brussels.